This Add-on plots onto charts information directly from the Economic Calendar. Both past and upcoming news releases appear on the corresponding candlestick. Hover the mouse pointer over each candlestick for information on the previous, forecasted and actual data from each economic news release. News items will show as Green if the news is positive and Red if the news is negative. 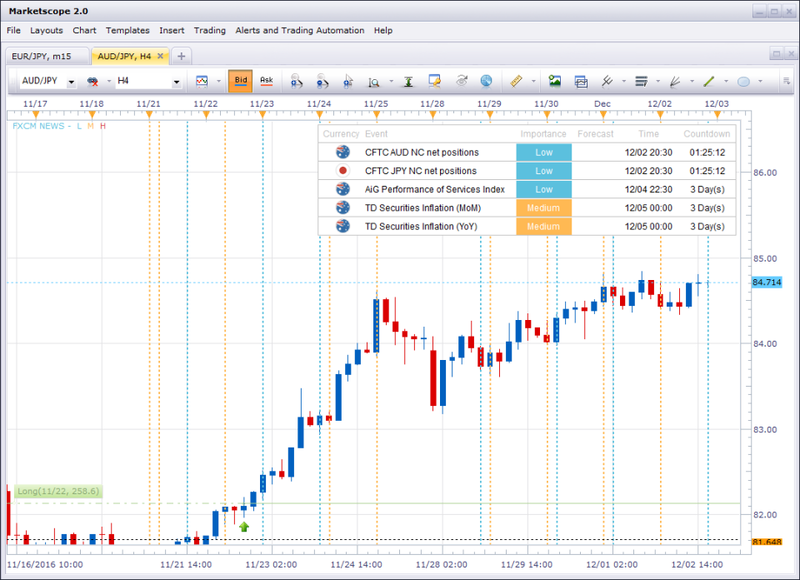 All instruments: Select “No” to only show news events pertaining to the currency pair on the chart. 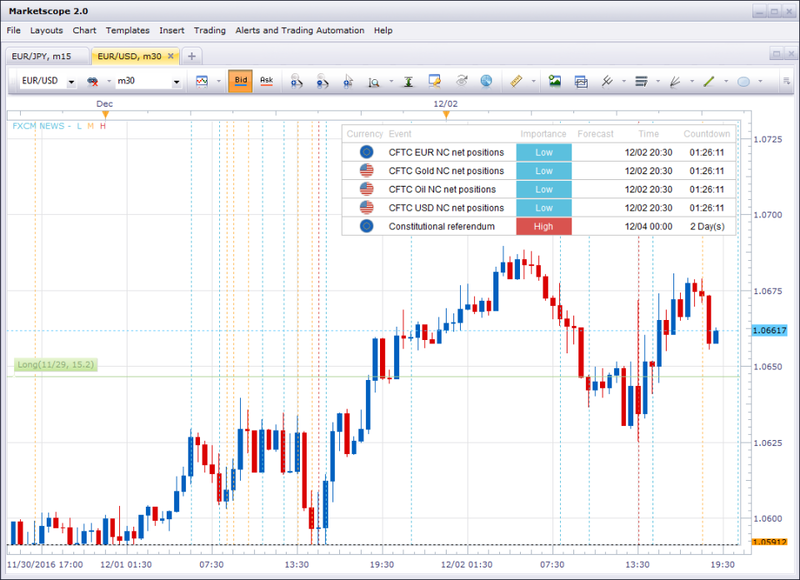 Select “Yes” to show news events from every available currency pair. Filter news by importance: Select the importance of which news events show on the chart. Refresh news automatically: Select the option of yes or no. Minutes between news refresh: Enter a value for how often news is refreshed automatically.